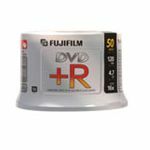 Using pioneering technologies that have made it the world leader in data storage media, TDK Life on Record introduces to Australia a write-once recordable DVD disc with the astounding storage capacity of 4.7 GB plus supreme performance and reliability. 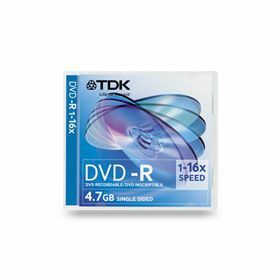 TDK Life on Record DVD-R discs use an advanced MSi metal-stabilised cyanine dye that is the key to extended single-sided disc capacity. 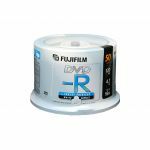 Proprietary mastering and replication technologies achieve an ultra-low groove structure that with precision substrate bonding and other exacting parameters assure excellent performance and stability. 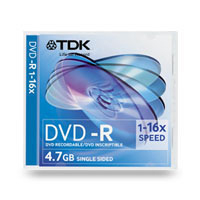 Other key technologies make TDK Life on Record DVD-R discs compatible with the widest range of DVD drives and players. 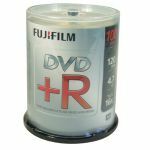 Once recorded, TDK Life on Record DVD-R discs can be played back in a wide variety of DVD-ROM drives and DVD-Video players. 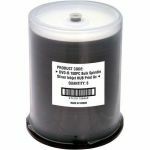 TDK Life on Record DVD-R discs are rated at an archival lifespan of more than 100 years when stored at room temperature.